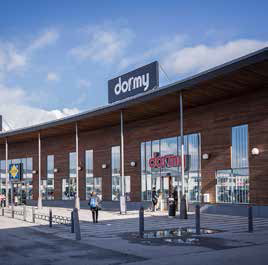 Kungsleden acquires four properties in the important growth regions Jönköping and Malmö with a total leasable area of 24,000 sqm to the price of MSEK 385. The acquisitions fit well with the current portfolio and builds on the successful restructuring, which Kungsleden has undergone since 2013. Kungsleden AB (publ) acquires the properties Hästvagnen 3 and Gefion 3 in Malmö as well as Översikten 6 and Översikten 9 in Jönköping. The properties are located in the established and strategically located retail areas Svågertorp, Jägersro and Solåsen. 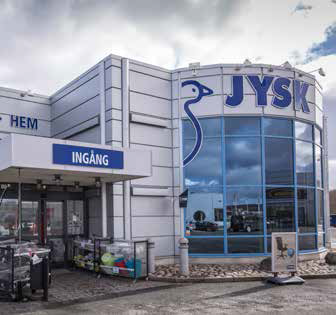 The retail area Svågertorp is located next to IKEA along the intersection between the motorways E6 and E20, and neighbors Hyllie where Kungsleden already owns two properties. All properties have a high technical quality and stable tenants such as Rusta, Dormy and Plantagen. The vendor is Alecta pensionsförsäkring, Ömsesidigt and closing will take place in June. Following an active restructuring of the portfolio during the past two years, Kungsleden is today a new company with a focused and modernized property portfolio that has future potential. Since the fall 2013, Kungsleden has divested non-strategic properties and acquired commercial properties in line with the strategy to a value of more than SEK 14 bn. The total property value now amounts to SEK 23 bn, of which the urban portfolio in Stockholm, Gothenburg and Malmö account for 53 percent. Half of Kungsledens entire property portfolio is gathered in eight prioritized clusters – Kista City, Danderyd Kontor, Innerstaden Stockholm, Västberga in Stockholm, Västerås City, Finnslätten Industriområde in Västerås, Högsbo in Gothenburg and Hyllie in Malmö. The clusters allow Kungsleden to create attractive customer offerings and flexible solutions, as well as achieve a more efficient property management. “Following two intense years, Kungsleden is well prepared to take the next step on our long-term journey in realizing our strategy to actively manage, develop and expand our property portfolio. We are a long-term owner with satisfied customers and we have laid a solid foundation, which we now can continue to build on”, says Biljana Pehrsson, CEO Kungsleden. Kungsleden continues to expand its property portfolio and the objective is to grow to SEK 25 bn in order to reach a profit before tax of SEK 1-1.2 bn in year 2017. Over time the portfolio is to grow to SEK 30 bn. The information was provided for public release on 5 June 2015 at 1:45 pm.